Last time, Long-haired Luthier demonstrated an example of why we should follow safety precautions. 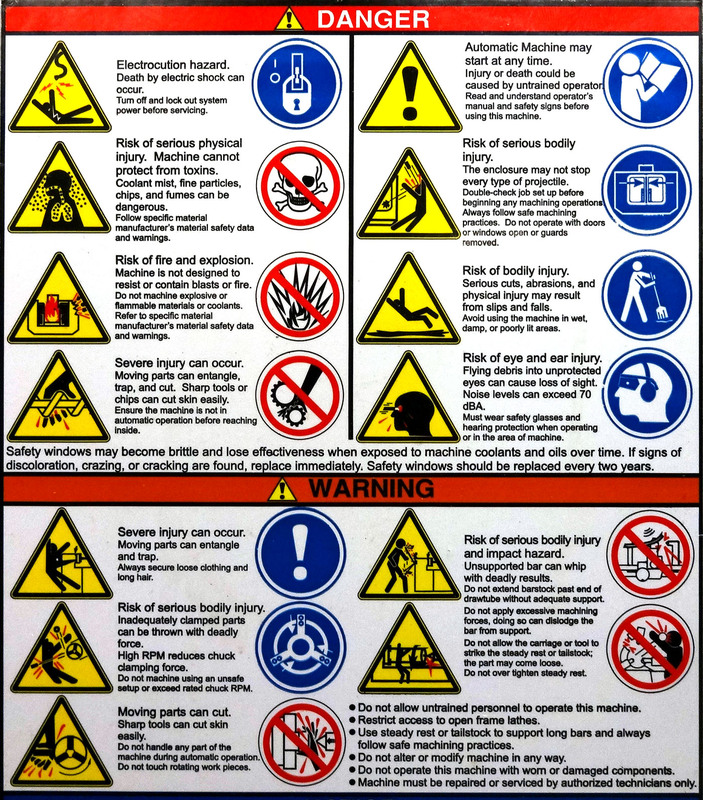 Here are a handful of other warnings, dangers, and precautions one might take in violin making, as found sporadically in my construction notes. 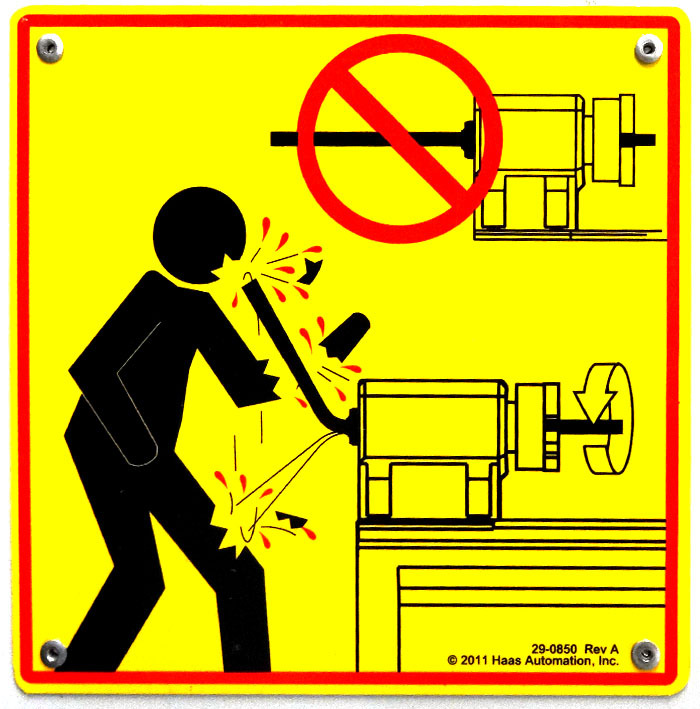 Now, for contrast, here are some warnings and dangers of operating the CNC lathe, posted on the Haas machine that I am training on. So much hurt…. These machines are NOT for messing around. But seriously… you gotta respect these things. Maybe I ought to stick with hand tools after all.